When I created this portion of my website, I had the goal of winning on Hard difficulty with all 28 of the ship designs in FTL, Livestreaming those runs to get a recording saved for posterity, and then writing them up afterwards. Unfortunately, there's only so much time available to write reports, especially when you're also working full time. Every time that I would finish a successful game, I would find myself dreading the need to invest several hours writing it up afterwards. The only way to keep pace was to spend my evening nights grabbing screenshots and writing text, which was not what I wanted to do after spending all day at work. 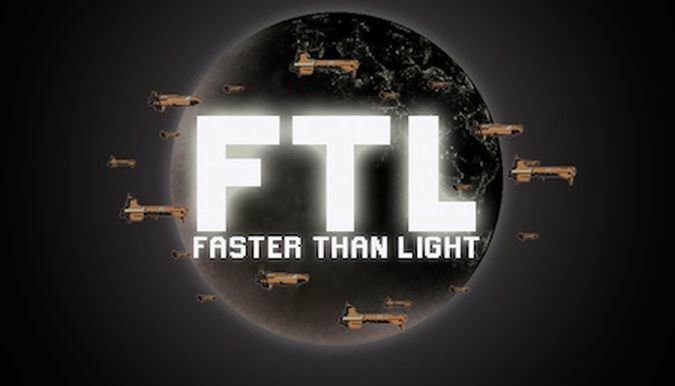 It was getting to the point where I stopped playing FTL to avoid writing more reports, and that was just silly. Clearly the solution was to stop writing lengthy, in-depth reports for every single ship. With well over a dozen of them on this website already, I've covered all of the standard elements of FTL gameplay. Additional reports would hardly be breaking new ground at this point. And yet, I still feel bad that I don't have the time (or desire) to finish this as completely as it deserves. Just part of life, I'm afraid. 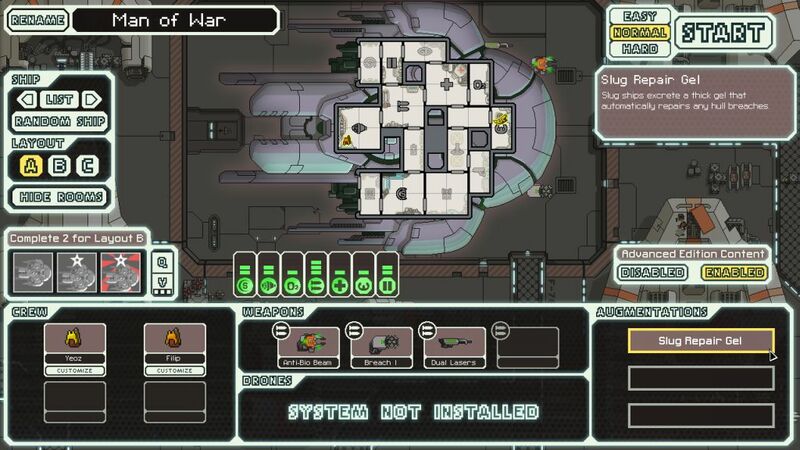 Weaknesses of the ship include the fact that there are only two starting crewmembers, a rarity in FTL. Mantis B is the only other ship with two starting crew, and the infamous Engi B the sole ship to start with a single Engi on board. This means no one to man the weapons room at the start of the game, unless the player is willing to sacrifice the dodge bonus from leaving the engine room. The ship also has no Scanner system, which is ameliorated somewhat by having Slugs for crew. At least Mind Control isn't an issue at the start of the game. Overall, this is very much an average ship. Not too strong, not too weak. It lacks huge strengths or crippling weaknesses. The run featured here on Livestream was noteworthy for landing a very early Cloaking system - in Sector One, no less! I had some big early scrap rewards, then sold Slug Repair Gel at the first store to just clear the 150 asking price. That was a huge advantage for the rest of the run, turning the Slug A into a facsimile of the Stealth Cruiser for this voyage. Then a friendly battle offered up the surrender reward above, and I was off and rolling from that point. 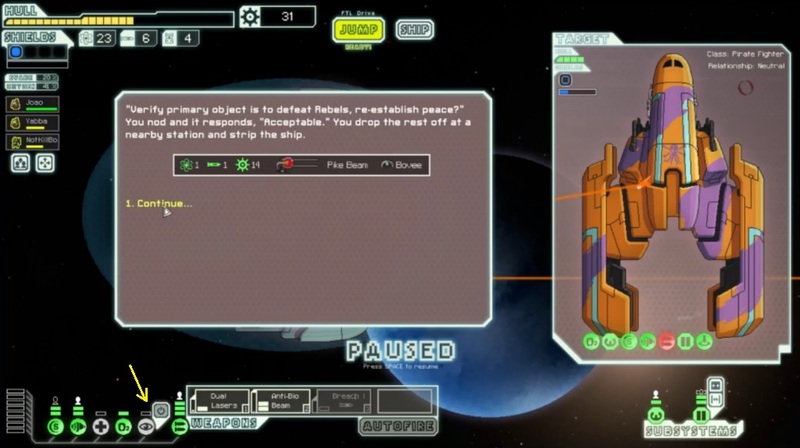 FTL was in a generous mood for this run. I would replace the Pike Beam with the far superior Halberd Beam a little later, plus add Long Range Scanners, and that was more or less all I needed. Cloaking + strong weapons + Long Range Scanners = easy victory. This turned out to be a fast game too, clocking in at just over two hours. Some of those runs with heavy use of the Teleporter have been almost double that. Short and sweet. Thanks for reading - enjoy the Livestream!